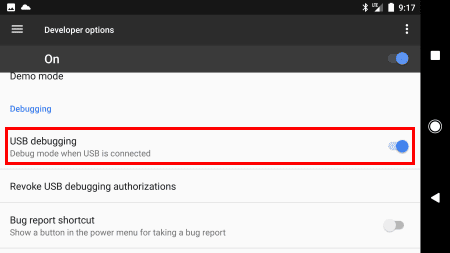 Enable developer features on the Google Pixel 3 smartphone by enabling USB Debugging using these steps. From the Home screen, swipe up the app list then select “Settings“. Scroll to the bottom and tap “About phone“. Scroll to the bottom and tap “Build number” 7 times. Tap the “Back” arrow and you will now see a “Developer options” selection. Tap it. Scroll to the “Debugging” section and turn “USB debugging” to “On“. Tap “OK” on the dialog that appears to allow USB debugging. Thank you the Google documentation didn’t even list this step. It said a prompt would show up.